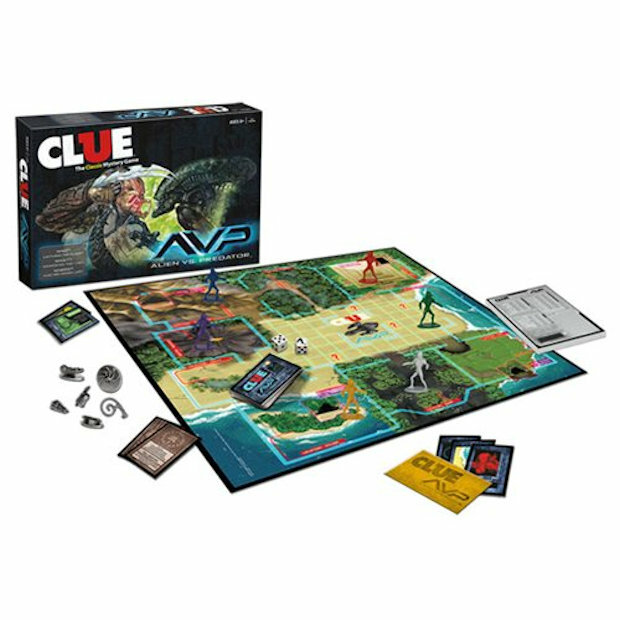 The classic game of Clue now has an Alien vs. Predator twist. In this version, the goal of the game is to capture the Alien Queen. You will have to work with your Predator friends to figure out where her hidden lair is and what weapon you have to win the fight. It sounds a lot better than guessing who killed the victim and with what object. It’s kind of the same thing, just cooler. Is the queen hidden in the volcano? Somewhere else? And who can capture her? It could be Spartan with a whip on the beach. Or Wolf with the Combi-stick in the jungle. The adventure will unfold and you will find out once you solve the mystery of the Alien Queen. This is the perfect board game for Alien or Predator fans.